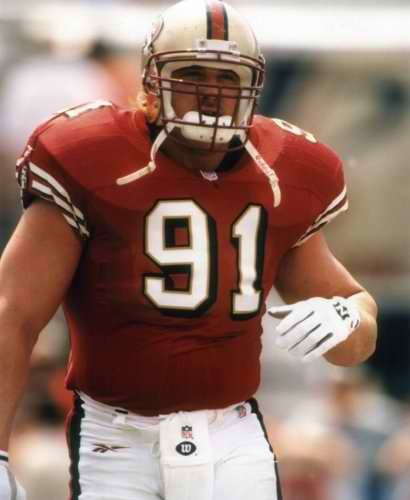 This entry was posted in Players Who Should Be In the Hall of Fame and tagged Blitzburgh, Carolina Panthers, football, Kevin Greene, Los Angeles Rams, NFL History, Pittsburgh Steelers, Pro Football Hall of Fame, Pro Football Hall of Fame Class of 2016, San Francisco 49ers, sports. Bookmark the permalink. Very nice impassioned piece on th e great Kevin Greene. Absolutely deserving and overdue. Greene what not only a clear HOF player, but has stepped up into a meaningful coach – no small feat! 1st – as a 9ers fan when the Rams were quite the rival there were 3 players I had blind , genuine respect for: Kevin Greene, Jackie Slater, and the greatest receive no one mentions – Henry Ellard. Mad prop to those guys. 2cd – I found the speeches at Canton this year to be so full of sheer respect, class and the pride that only comes when you realize it’s never all about you- even when you are the person being feted. Congrats to all those deserving Hall of Gamers. Glad you got to go Chancellor! Ps- I’m not gonna lie…a little bit of my heart will always be broken that Kenny wasn’t on hand to speak for himself and Raider Nation. Keep up the good work Chancellor!